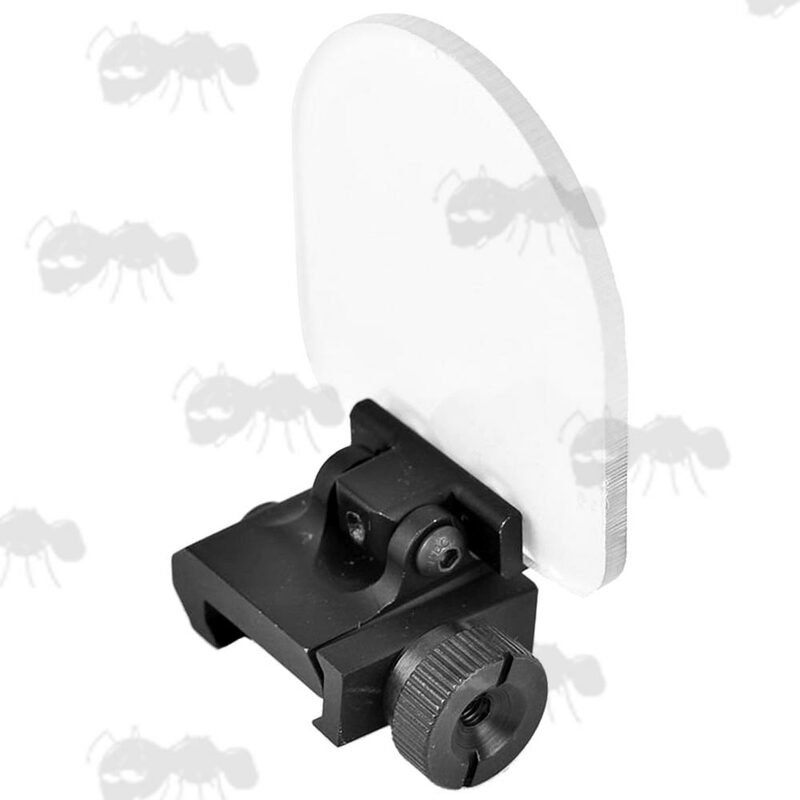 Weaver / Picatinny rail mounted lens defender. Protects your expensive lenses from BB impacts and scratching. 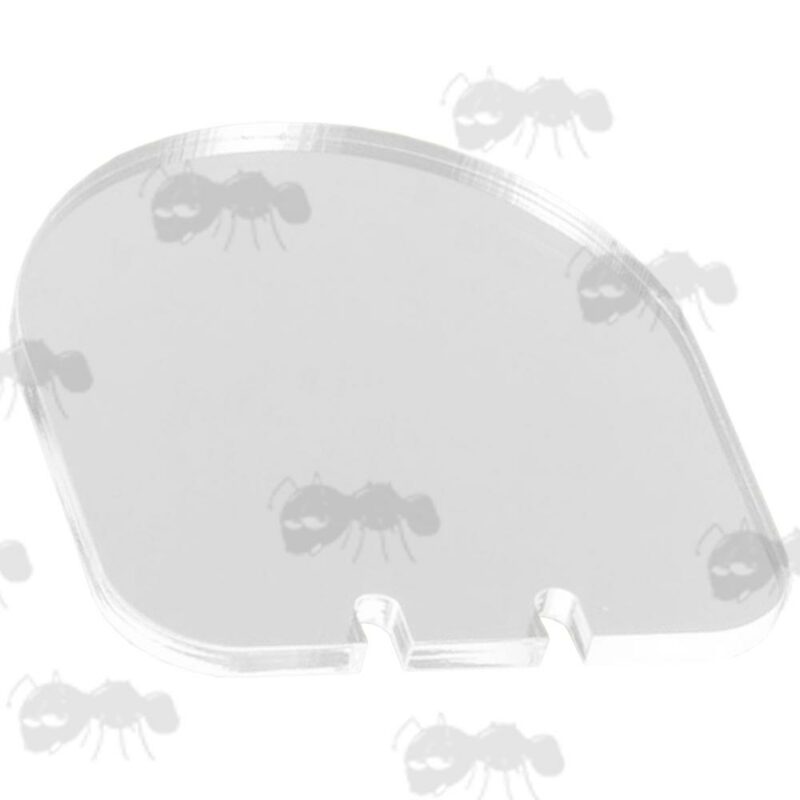 Flip up screen measures approx 50mm x 50mm. Total height from the rail it will be fitted to is 62mm. 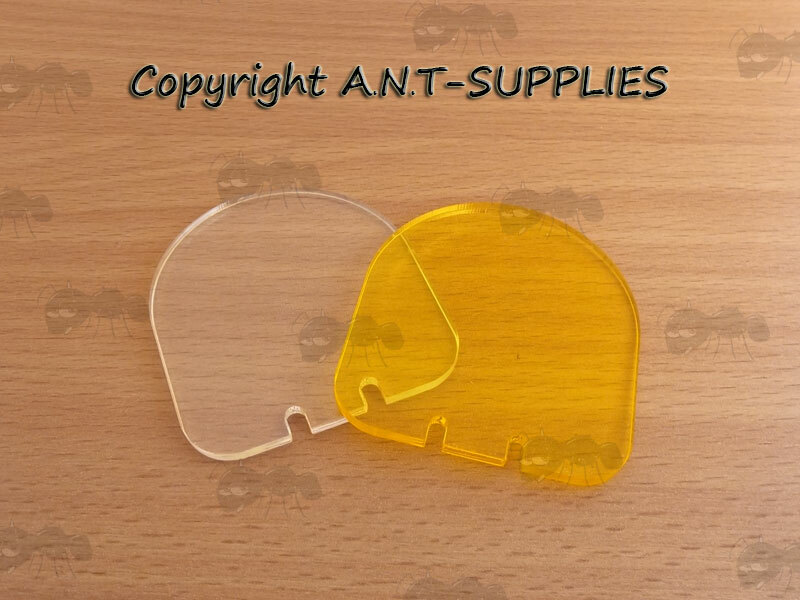 Flip up screen measures approx 50mm x 70mm. Total height from the rail it will be fitted to is 78mm. 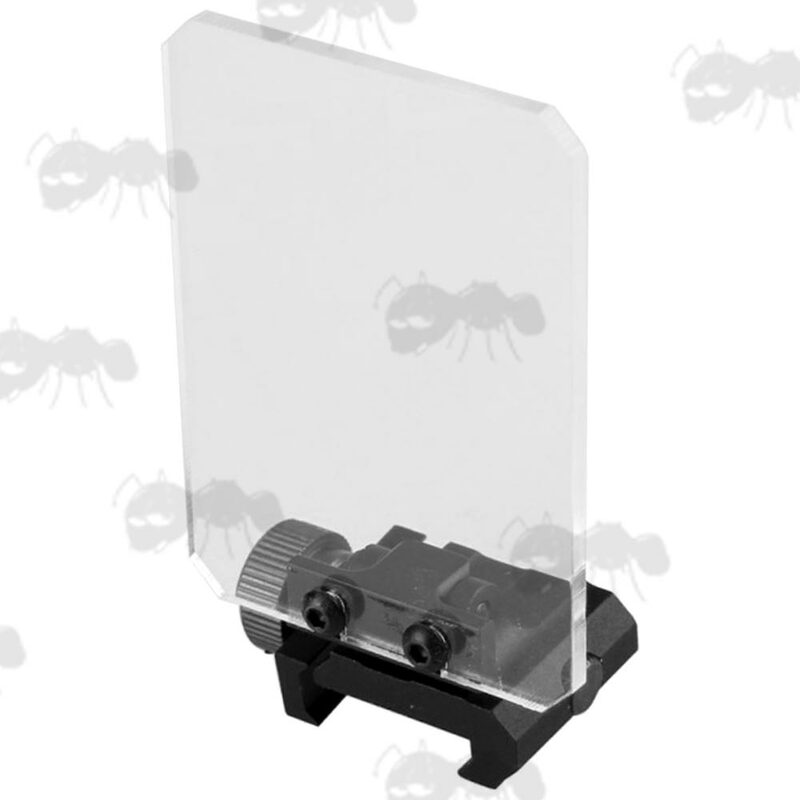 Scope/sight foldable shield base, with two screens (1 clear, 1 amber). 25mm long base, with quick-fitting thumbscrew. 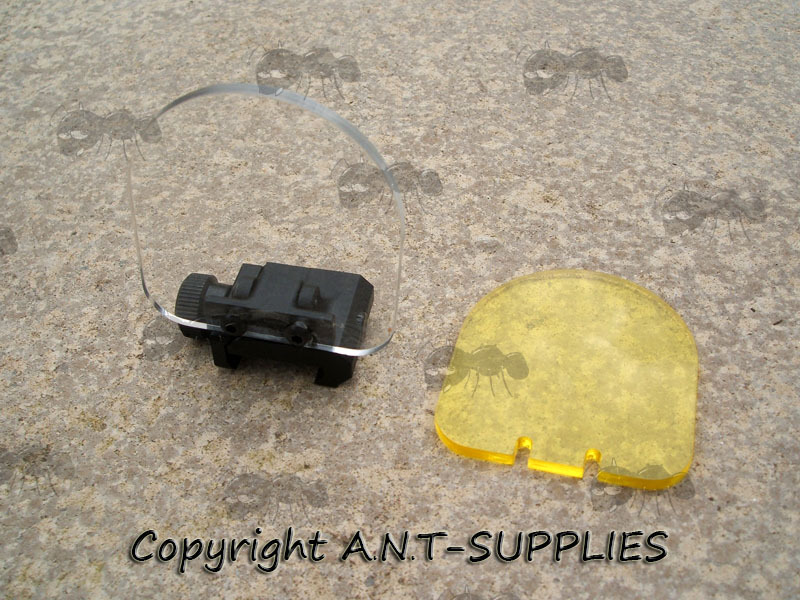 Requires a 1mm or 2mm (depending on the batch) hex / allen key for fitting the lenses. 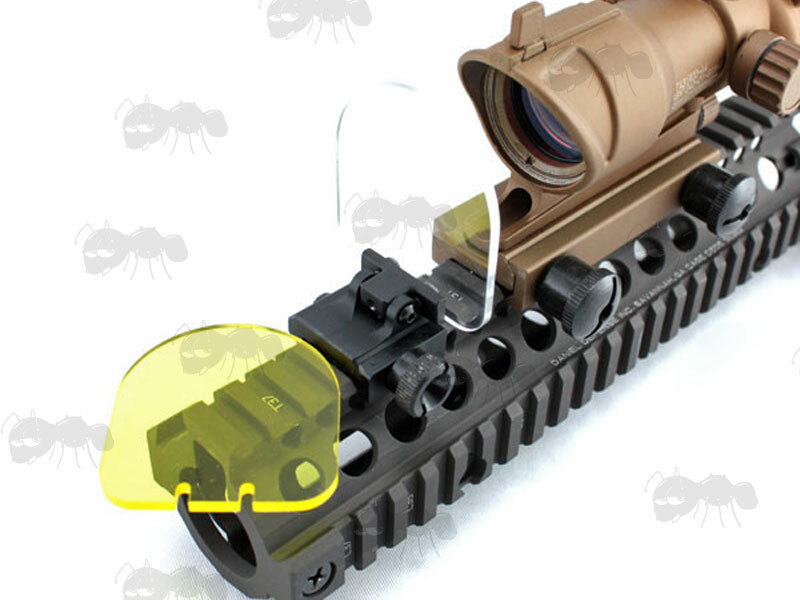 Rail mount base colour ~ black. 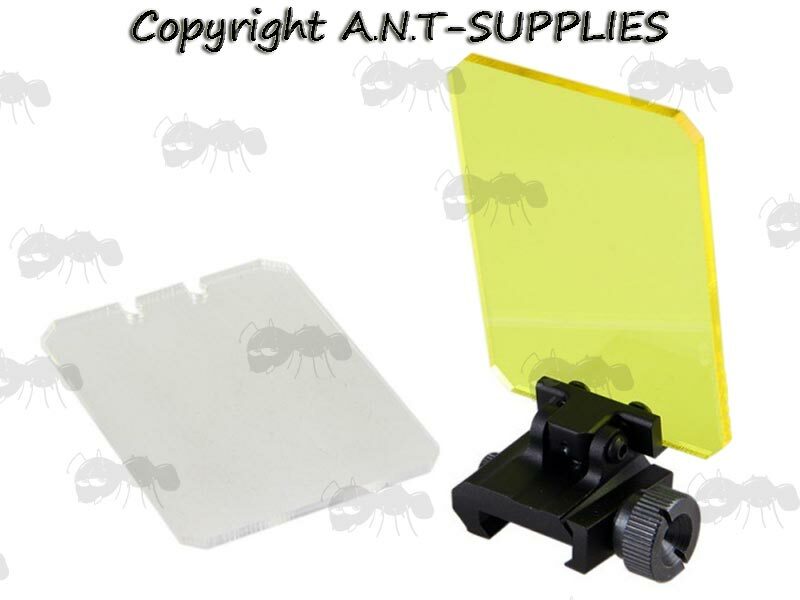 A simply and very effective product ideal for airsoft and paintball use. Fits onto all 20mm wide rails systems. The default option includes one clear and one amber screen, the other is for one clear, three amber. The lenses are not indestructible and there is a possible weak spot, due to the slots in the lenses, needed for the fixing points. Also; the lenses usually come with a protective film which needs peeling off. 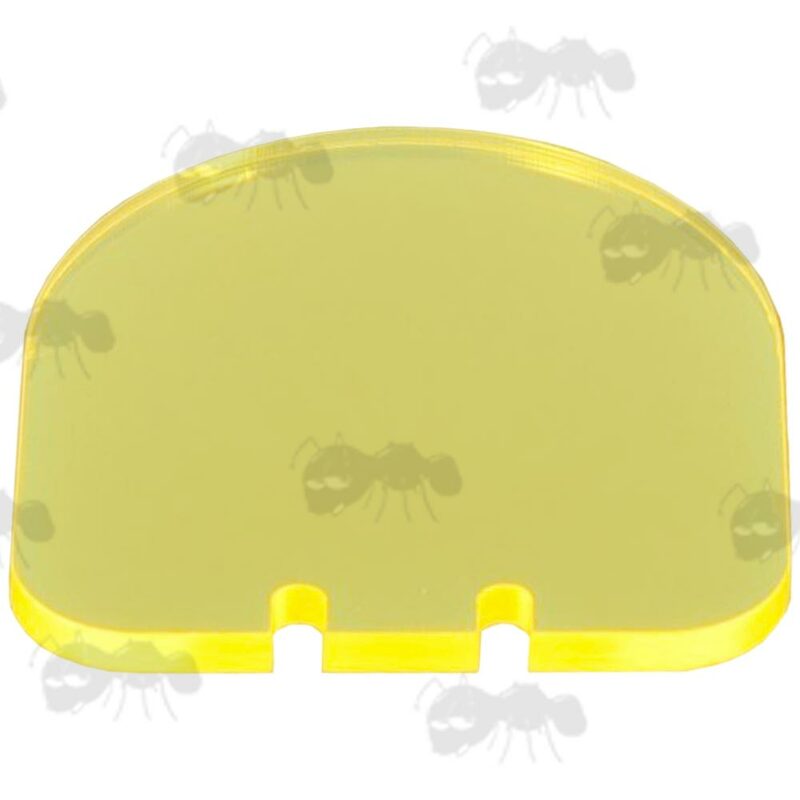 The rounded top lenses are available separately below. 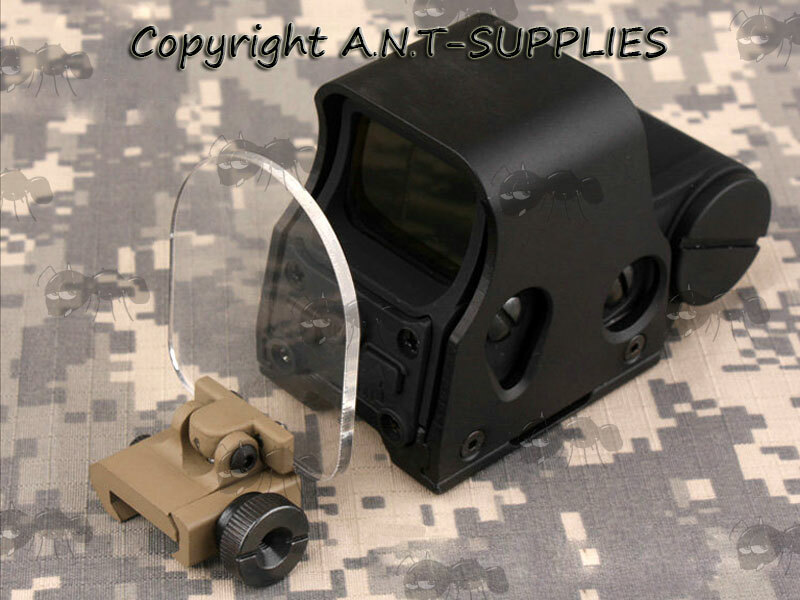 Replacement / spare lens screens for flip-up sight lens defender rail mounts. For the original rounded lens defenders. Please Note: the lenses usually come with a protective film which needs peeling off.